eva International, Ireland’s biennial of contemporary art, is pleased to launch the international open call for proposals for the 2014 edition, curated by Bassam El Baroni. Applications are invited from individual artists or groups in any medium and can be for the presentation of existing works or production of new projects. 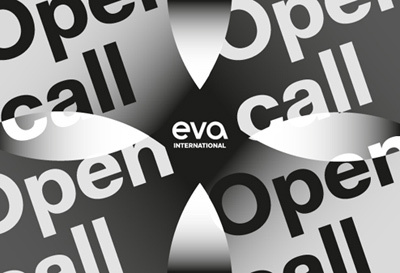 The online application process is now open and closes at 5pm on Monday 2 September 2013.
eva International is a not-for-profit organization where submission fees support selected artists and contribute directly to artists’ production, travel, accommodation, transportation and exhibition budgets. Bassam El Baroni is a curator and art critic based in Alexandria, Egypt. In 2005 he co-founded the non-profit art space Alexandria Contemporary Arts Forum (ACAF), and was its Director until December 2012. In 2010, he was co-curator of Manifesta 8, Murcia, Spain, and is currently a PhD researcher in the Curatorial/Knowledge program at Goldsmiths, University of London. El Baroni is currently co-curating the Lofoten International Art Festival (LIAF, with Anne Szefer Karlsen and Eva González-Sancho), that will open in September 2013 in Vågan, Lofoten Islands, Norway.